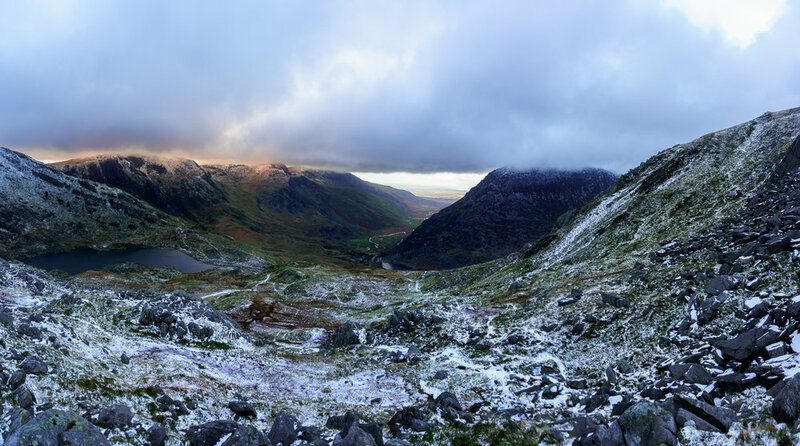 Tryfan is without a doubt my favorite mountain in the UK. 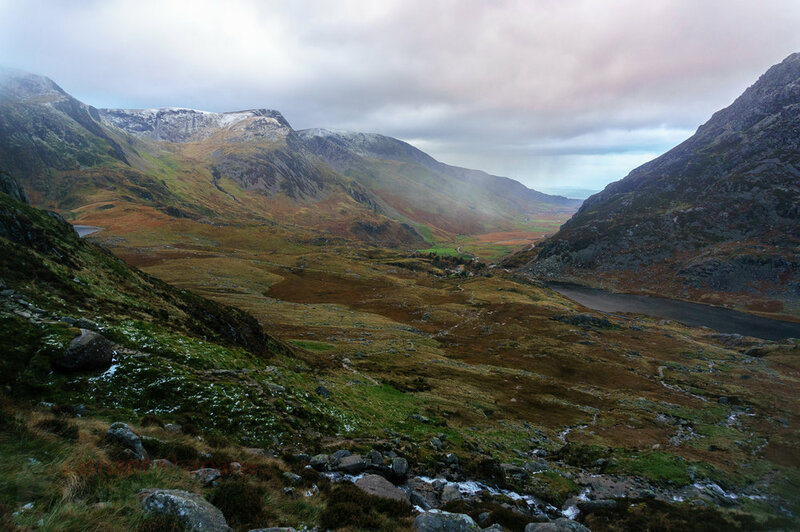 When we discussed the possibility for a team building away day and I suggested hiking in Wales many decided for Tryfan versus Cadair Idris. 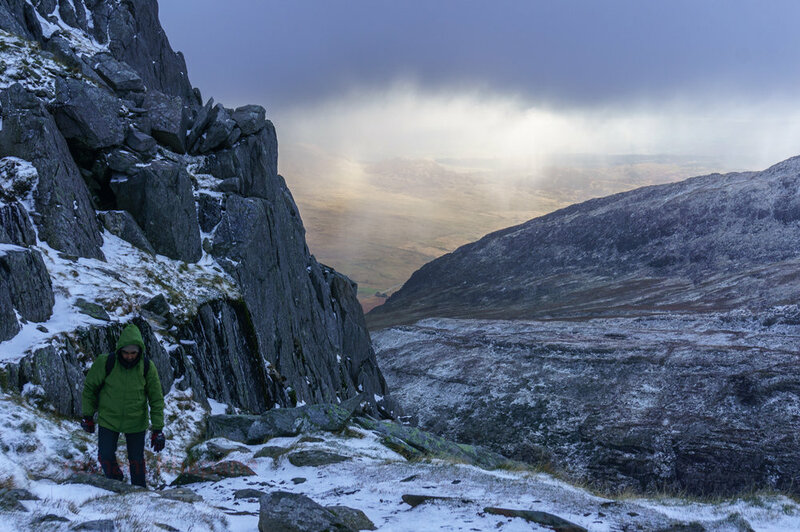 Okay, there were one or two who were concerned about the cold but we had wonderful time in the mountain despite the hail storm, snow, 20mph wind and sub-zero temperature. We decided to take the relatively easier "Heather Terrace" way. There are few really good on-line route descriptions, one by Paul Schorrock and another here. 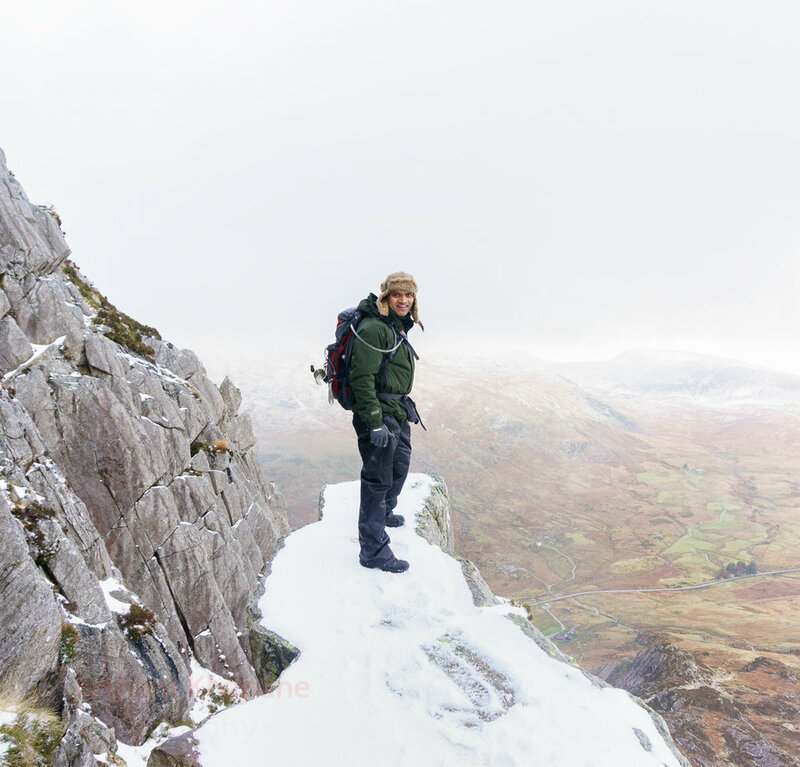 However depending on the weather, always unpredictable fun in the Wales, it can easily test the nerves and navigation skills. 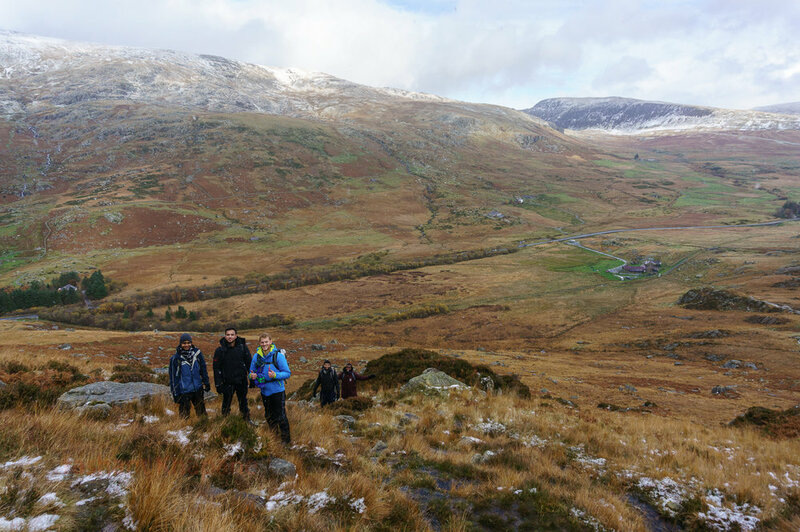 I had done two of my navigation courses offered by Plas-y-Brenin in the area (a fantastic place and highly recommended!) however this was the first time I was navigating this mountain myself. And in such conditions it was always testing. 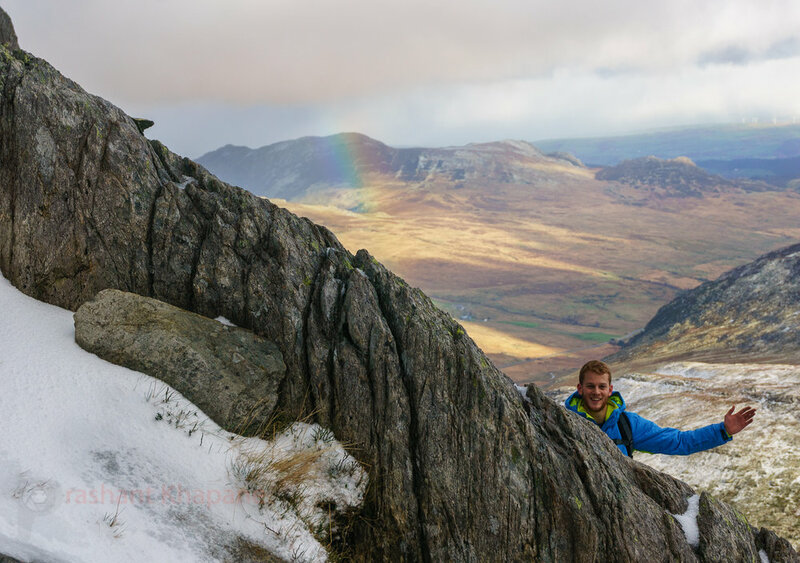 I've climbed this mountain a few times with Coventry Climbing Club though and hiked via different routes which gave me the confidence to guide my team. 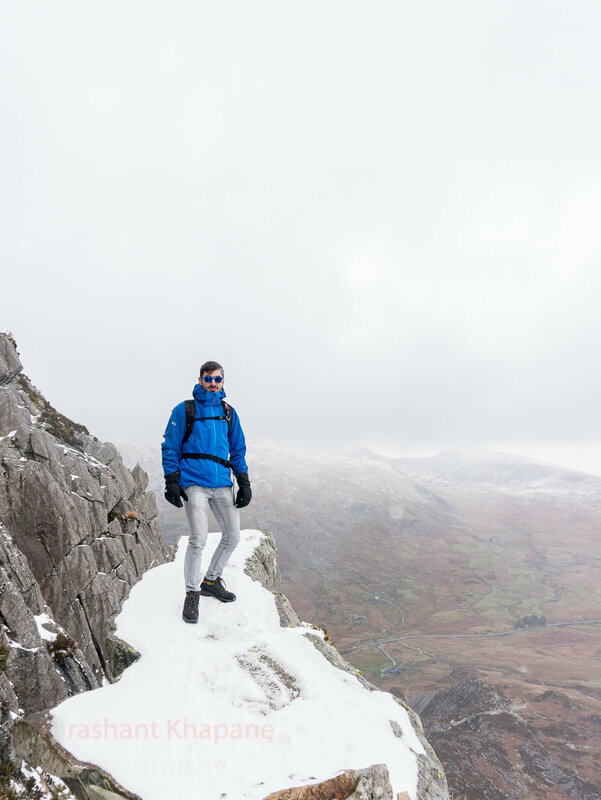 This climb is not for the faint hearted or inexperienced because it's impossible to finish without scrambling (climbing over or up rocks using all four limbs) and ascends to about 3,000 ft (917m). However credit goes to them to follow through. For some it was the first of a kind experience. Overall a fantastic team building activity. 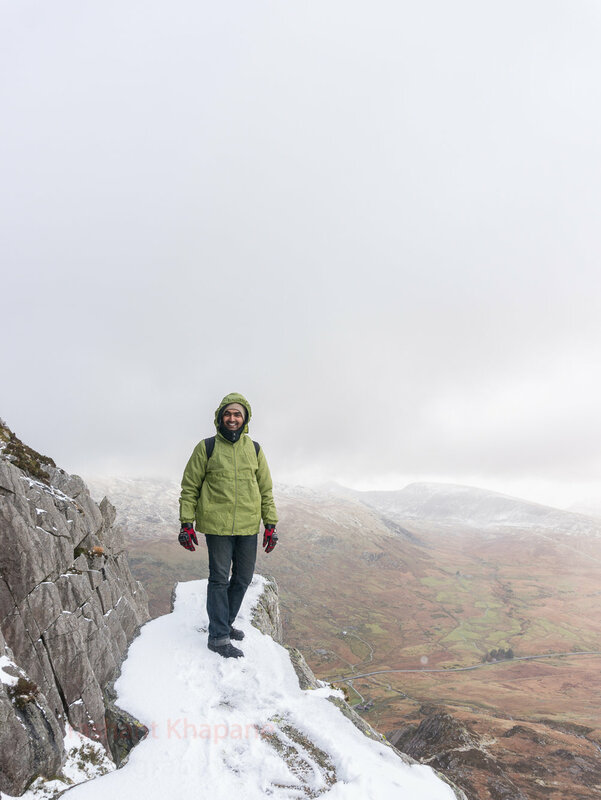 Please ensure you have a correct map, map reading skills and a good head for the heights or a guide. As is often a case for rock-climbing or hiking trips I carried my little NEX 6 with 16-50mm Kit lens. This was one of the many visits to this fantastic valley and I'm working on a small movie based on various climbs/hikes in the area, when I get more time. Enjoy and leave a comment.